During the latter part of World War I, Private Charles Plumpick is chosen to go into the French town of Marville and disconnect a bomb that the German army has planted. However, Charles is chased by some Germans and finds himself holed up at the local insane asylum, where the inmates are convinced that he is the "King of Hearts." Feeling obligated to help the inmates, Charles attempts to lead them out of town, but they are afraid to leave and frolic about the streets in gay costumes. Will Charles be able to deactivate the bomb in time and save his newfound friends? 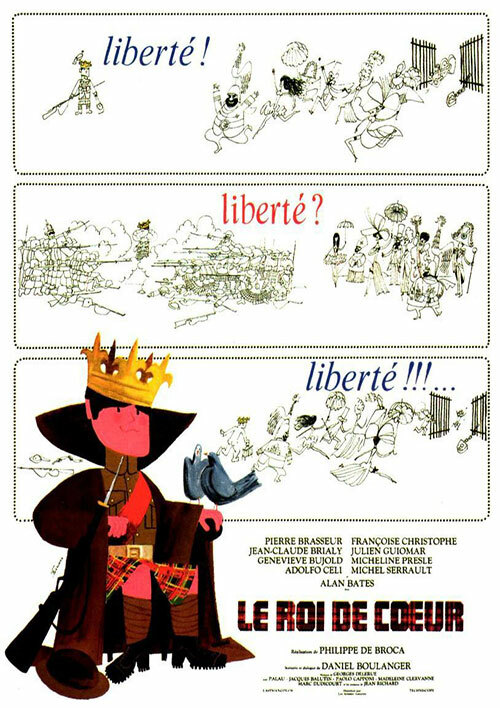 0 Response to "King of Hearts (1966) Philippe de Broca "